Kim Hollis: Do you believe that the Marvel universe has peaked at the box office or do you think Civil War and Avengers Infinity War will regain momentum for the franchise? Jason Barney: I think there are miles of distinction between peaking at the box office and "regaining" momentum for the franchise. Let's keep things in perspective. The assertion that the franchise has taken a step back is a very specific nit-pick. It just did better than every other film that has been released but one. I think the franchise's momentum is strong. Another point that I would like to make is about the potential future of this film, what it is going to do over the next several weeks. It will be compared to the original, rightly so. Taking those outstanding numbers into account….those only achieved once numbers is just fine with me. 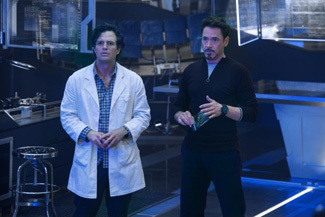 In the Monday to Thursday portion of Avengers first week three years ago, it averaged $15 million each day. We should see similar business here. That means on the low end, Age of Ultron will be approaching $230 million or so going into weekend two. Let’s assume a greater than 50% drop next weekend…give it just $85 million in frame two. Ah, okay… does that make the point? And over the course of Ultron’s time in theaters, I think the discussion is moot as to whether it matches the original domestically. It will or it won’t. The numbers will still be massive. I think the real story will be Age of Ultron’s expansion of the product overseas. That is the real growth market.